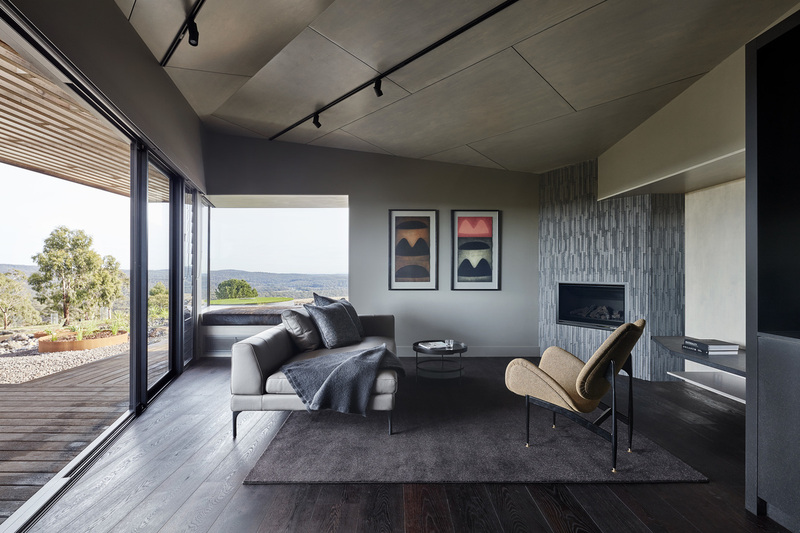 Perched on a ridge overlooking Hepburn Springs, Victoria, Breakneck Gorge Oikos is a one bedroom retreat designed by Robert Nichol and Sons that takes advantage of the site’s 360-degree views. 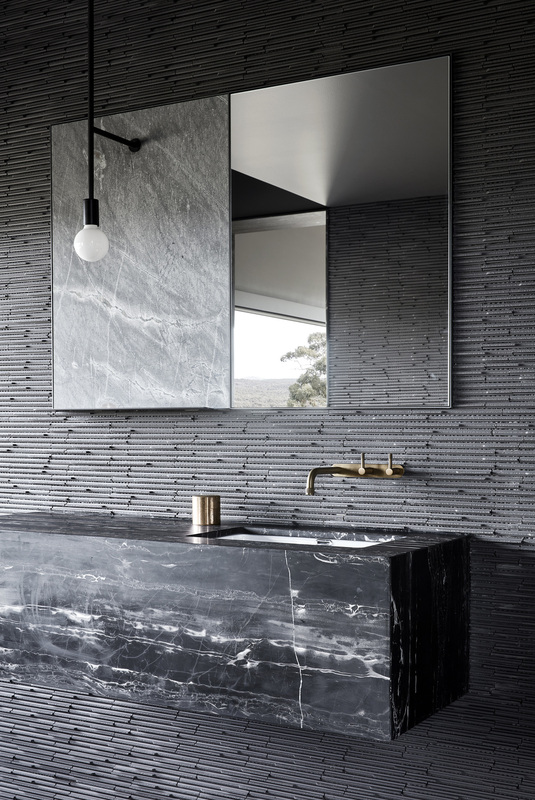 “The site is one of the most beautiful, spectacular, and highly visible in the area and as such, we knew our design had to respect and connect with this stunning location,” says Brett Robertson, architect at Robert Nichol and Sons. 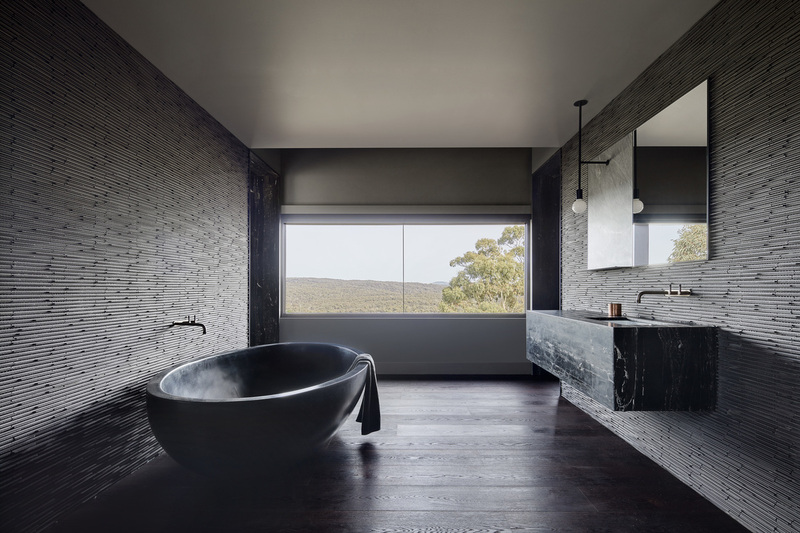 Oikos joins Akora as the second accommodation at Breakneck Gorge Retreat along with the owner’s own home. As such, there was a need for privacy toward the homestead so that guests and owners would not be aware of the other’s presence. 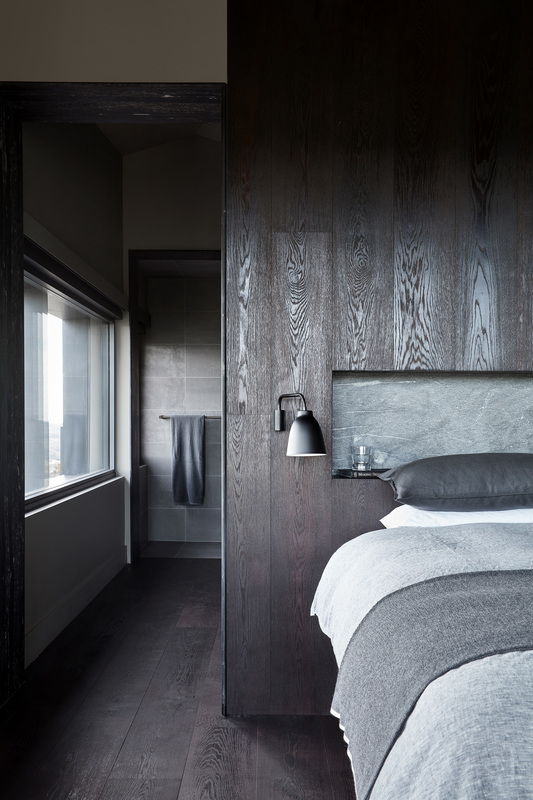 “The decision was made very early on to remove any dedicated circulation space, instead adopting a simple sequence of arrival into the open plan living, transitioning through the dressing and bathing zone and finally into the bedroom,” says Robertson. This design enabled a tight layout of 70sqm to present as a series of interesting volumes, each with a strong identity, discovered as you move through the space. 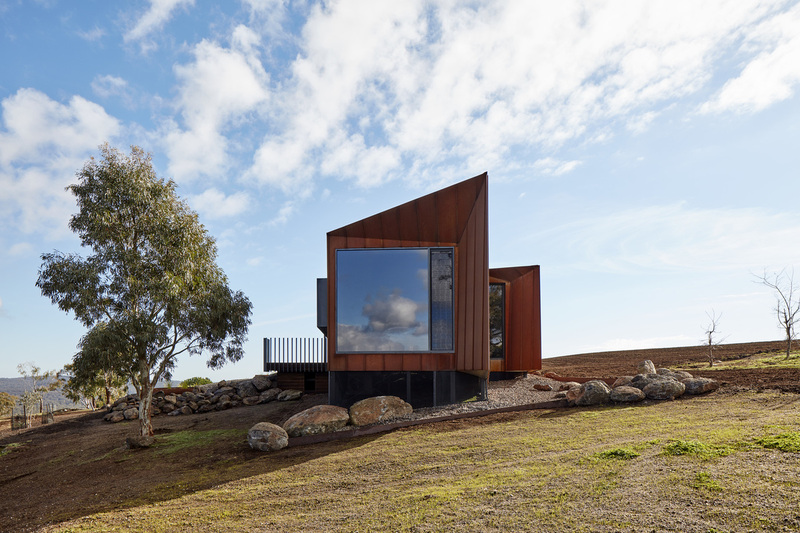 Corten was finally selected for its aesthetic appeal and ability to blend and for its quality to evolve and change with time and season. 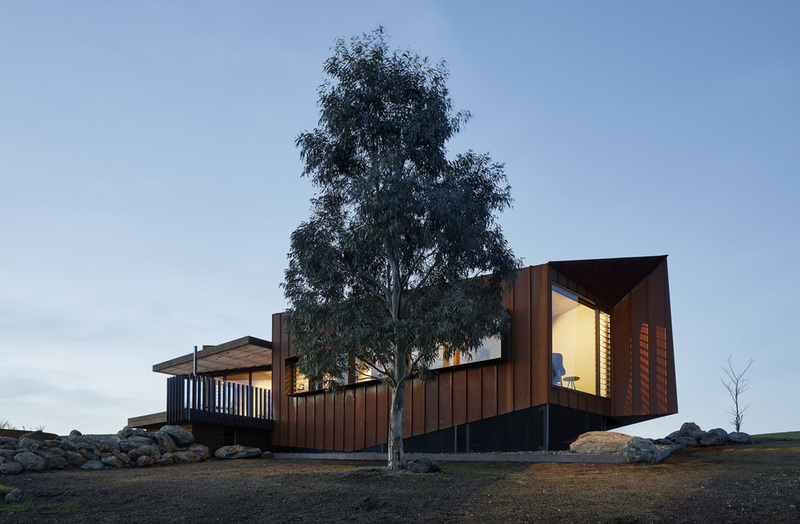 The roof is broken into two forms, creating multiple ridges and a valley not unlike the distant hills – this introduced more angles for the cladding to express itself. “The resultant form evolved to lift itself as the ground fell away,” explains Robertson. “To counteract this float we developed a long solid masonry wall, of handmade dark bricks, to create a solid anchoring device that grounds the folded form and acts as a counterpoint to the corten finish.